Drop by to use the Kinsmen Fieldhouse badminton or pickleball courts - it's included with your membership pass or admission. Badminton courts are available for play only. Formal coaching and instruction are not permitted. You can book a court up to 14 days in advance. An individual is only permitted to book 1 hour for each court type on a given day. Or, you can take your chances - courts may be available for first come, first served drop-in use (if they are not reserved at that time). Can't find a court at Kinsmen when you want it? Badminton court reservations are now available at Central Lions Recreation Centre. For multiple court bookings for a tournament and/or special event please call Facility Bookings at 780-496-7302. The Kinsmen Sports Centre has three Badminton/Pickleball courts with a large variety of availability for users. You can inquire about this time or additional availability by calling 311, visiting the front counter, or going online to book your court. There are two table tennis tables that can be used in the flex area. They are available on a first come, first served basis. There are 2 North American squash courts and 3 racquetball/walleyball courts. 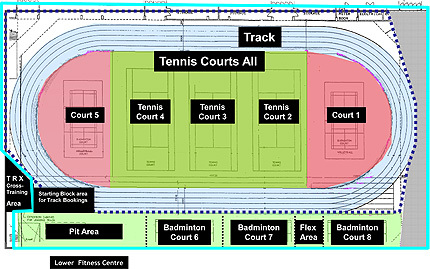 Use of these courts is included with your membership pass or admission. 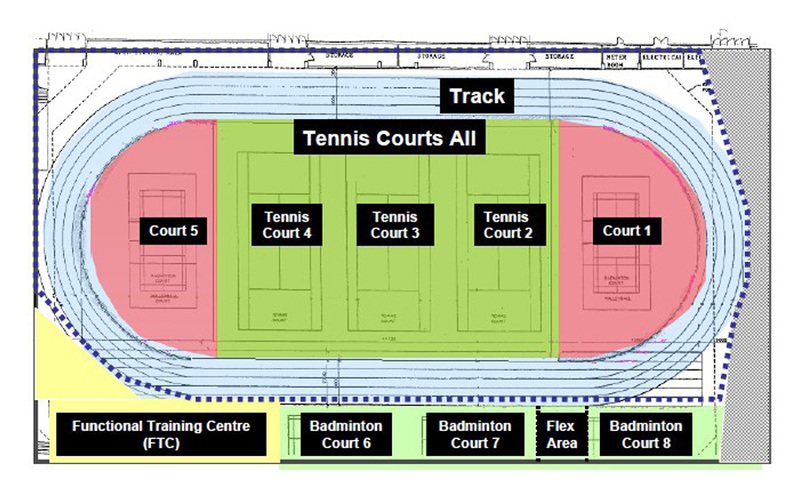 These courts are almost exclusively available for booking during public hours. You can book a court up to 14 days in advance. An individual is only permitted to book 2 hours for each court type on a given day. If the courts are not booked, they are available on a first come, first served basis for drop-in use.